From the creator of the deliciously adorable YOU ARE MY CUPCAKE comes a new ode to the best emotion in the world--LOVE! 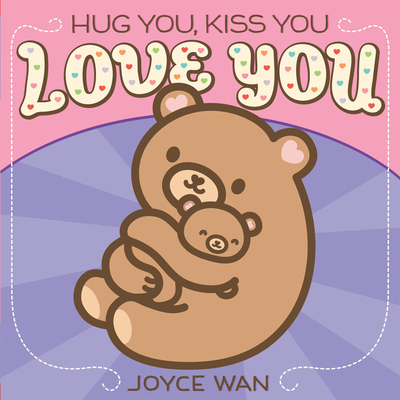 With a glittery cover and bold illustrations throughout, Joyce Wan celebrates the small joys and big wonders of parental love with a cast of endearing mommy and baby animals. I hug you, tickle you, sing to you softly, carry you, bathe you, kiss you always. Baby, this sweet board book is the perfect way to say I LOVE YOU!